Based in Berlin, Plastique Fantastique is self-described as a studio for temporary architecture. 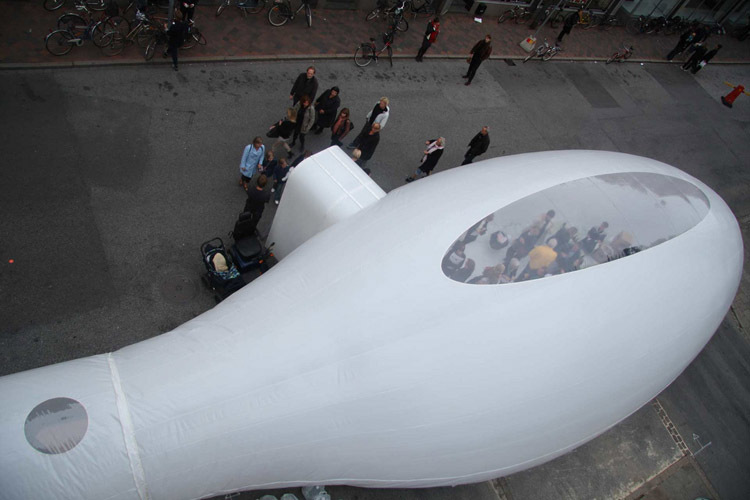 Since 1999 this team of designers, artists, and engineers – headed by architect and founder Marco Canevacci – has been creating fantastic plastic bubbles in urban spaces for art exhibits, trade shows and festivals. Plastique Fantastique’s synthetic structures affect the surrounding space like a soap bubble does: it is a foreigner which occupies and mutates usual relations and points of view. By mixing the landscape, it gives birth to a new hybrid environment that allows an osmotic passage between private and public space. The installations crop the subject from its context by beaming it into a new realm of space. 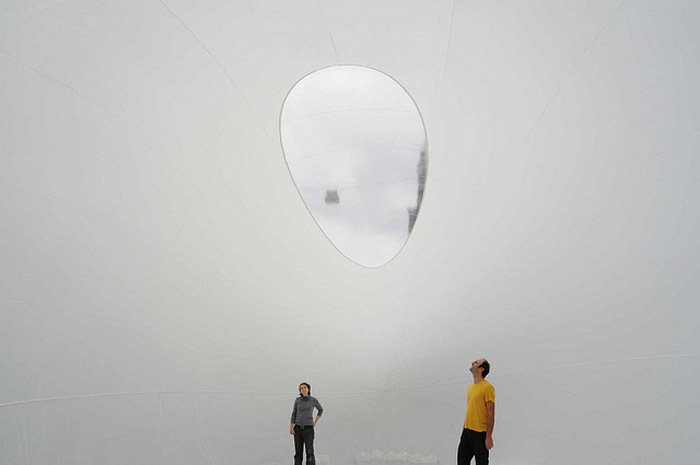 Whether people interact with the bubble simply by seeing it, or walking around the exterior, or actually moving through the interior, the structure is a medium to experience the same physical setting in a temporary extraordinary situation. Plastique Fantastique creates light and fluid structures that can lay on the street, skirt a wall, infiltrate under a bridge, squeeze in a yard, float on a lake, invade an apartment and generate an “urban premiere”. Very fun and cool. If you like these you might also enjoy the work of Lang/Baumann, Architects of Air, and Olga Diego.